3. Please tell me about the design of some representative embroidery. 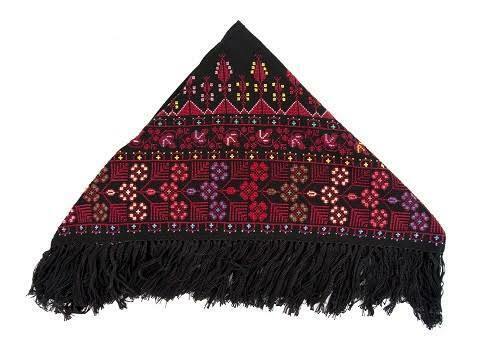 Actually sulafa has too many different designs, Traditional patterns in Palestinian embroidery focus on geometric shapes that can be based on items that are most familiar to Palestinian women in their daily surroundings. Depending on the region in Palestine, the patterns can include cypress trees, bunches of grapes, apple trees, cauliflowers, chickens, pigeons, rainbows, roses, birds of paradise, flower pots, among other objects. Geometric designs were given creative and often humorous names such as 'foreign moon', 'cow's eye', 'mill wheel', 'crab' , 'moon with feathers', 'old man's teeth', 'bachelor's cushion', 'the baker's wife', 'old man upside down'.